Our daughter loved to play with Play Mobil toys when she was a child. So glad we've kept all these boxes for her daughters. Wie wat bewaard heeft wat. Leuke foto van de spelende meiden. What clever framing. I feel like I’m peeking into their playroom when I view it on black! I did the same with Lego''s! 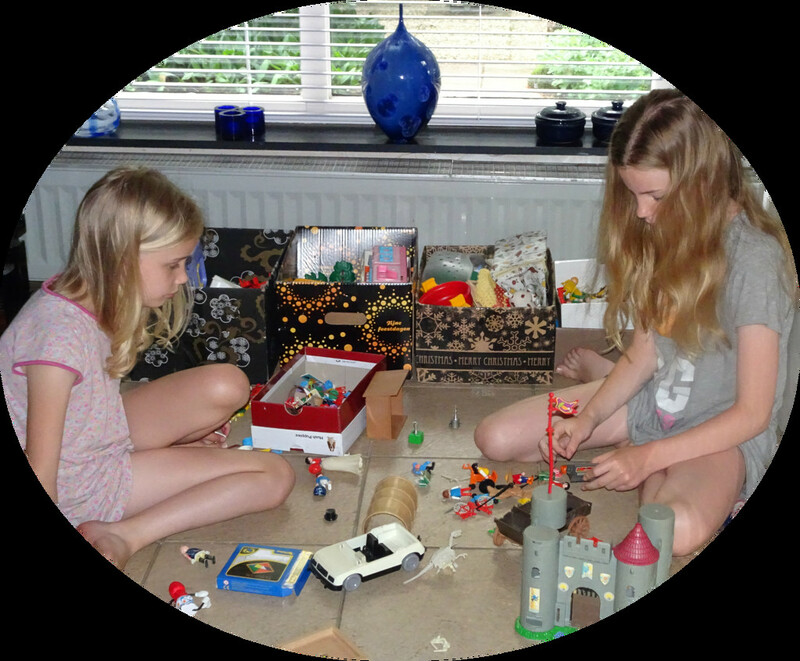 How lovely that your grandchildren enjoy the same toys. Wonderful. So precious Bep,how wonderful . Playmobil is wonderful! Both my daughters loved it and I still have boxes here for my grandsons to play with. Super moment captured and so nicely framed.